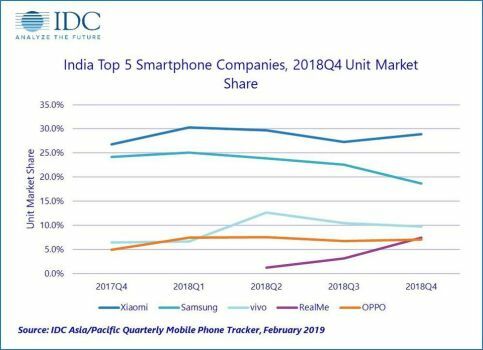 Apple iPhone sales cratered year-over-year in India, dropping 40% in 2018. That’s in spite massive growth in the India market. 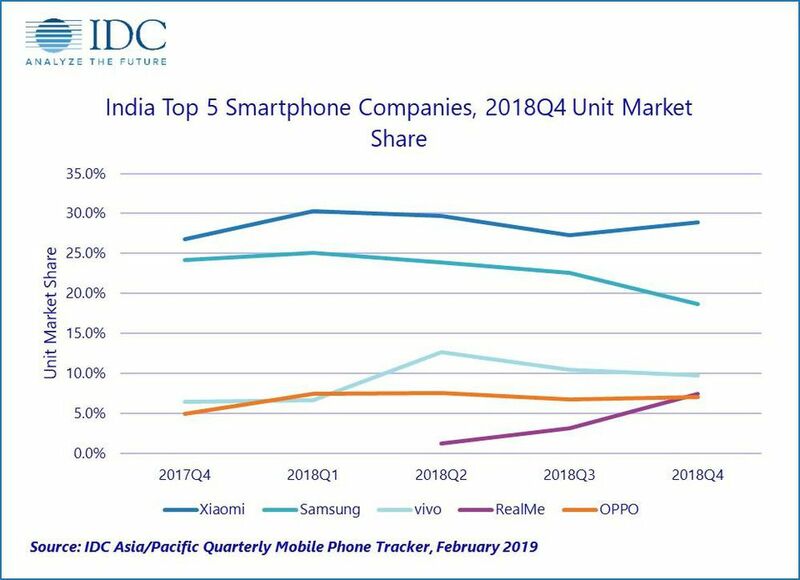 In fact, in the latest numbers from IDC, the Indian smartphone market grew 14.5% last year and market leader Xiaomi grew even faster: 58.6%. And in the “super-premium” $700+ segment that Apple typically owns? Samsung’s Galaxy S9 series out-sold iPhone.